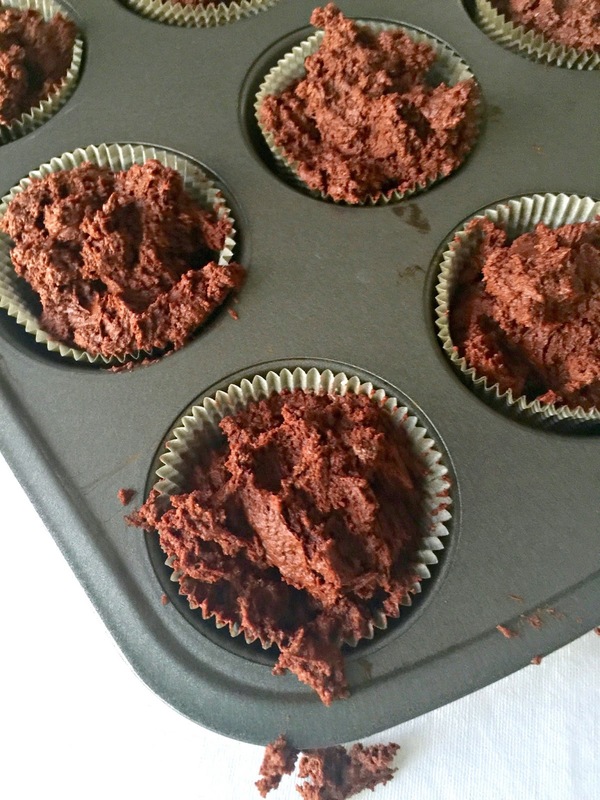 Believe it or not, these cupcakes including the frosting and filling are completely all natural, grain-free, gluten-free, sugar-free and basically flourless (there's 1 TBSP of sweet rice flour in the whole recipe for over a dozen cupcakes). And they taste amazing! So, regardless of whether you follow a Paleo, Ketogenic or the Standard American Diet, you can enjoy these delicious treats guilt-free. 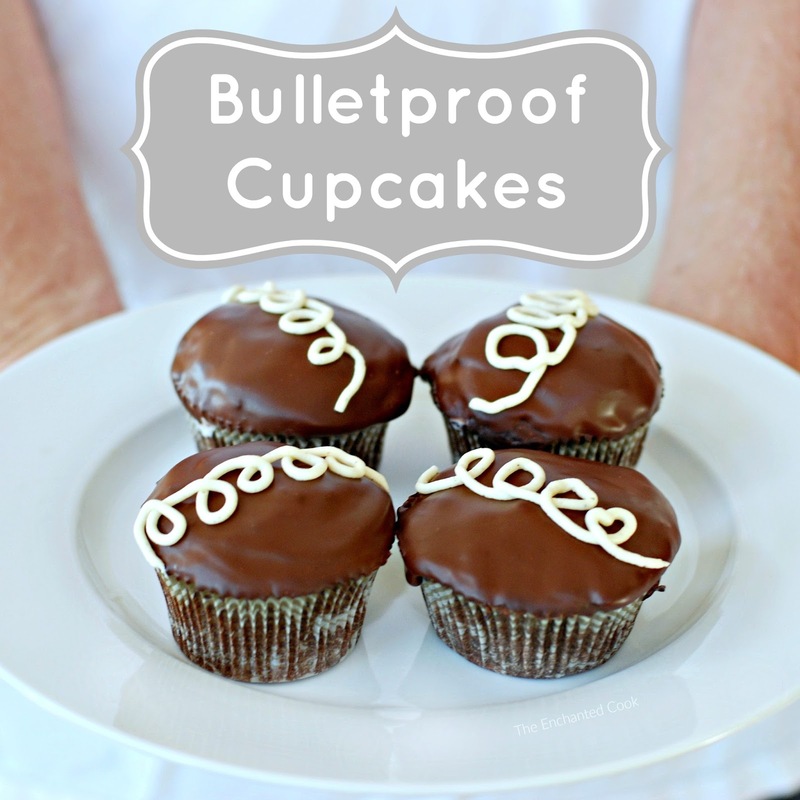 The recipe for this cupcake, plus over 120 more dishes that are equally amazing, may be found in "Bulletproof: The Cookbook" which releases on December 1, 2015 but thanks to the kind folks over at Bulletproof, I get to share it with you now and also let you know how you can enter a GIVEAWAY to win a signed Cookbook and a Bulletproof Coffee Starter Kit. Scroll to the bottom to see how to enter (it's easy, just leave a comment). I was inspired to make the recipe into "Hostess Cupcake" lookalikes, complete with a vanilla creme filling but these fudge-y, dark chocolate cakes are equally delicious just plain, the way the recipe is written in the cookbook. 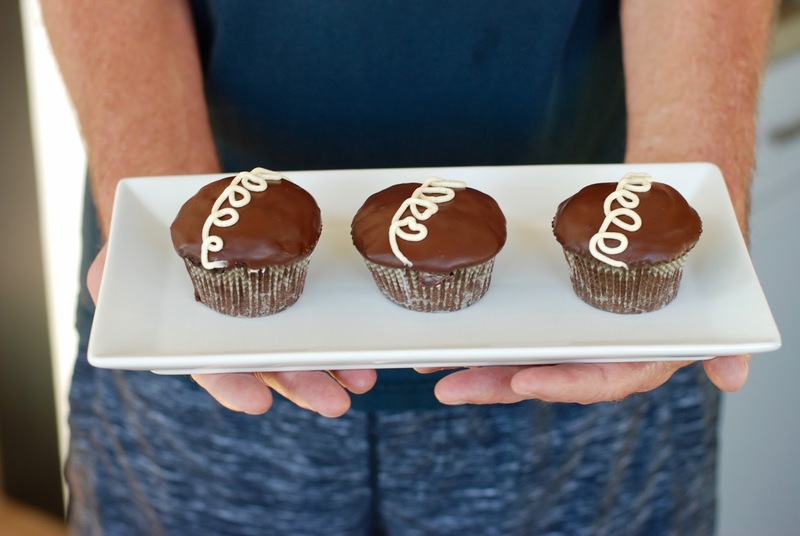 If you'd like to make just the cakes without the creme filling or ganache topping, simply follow the recipe for just the cupcakes below. Line a muffin tin with individual cupcake liners. 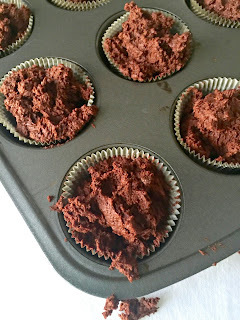 You will have enough batter for a few more than a dozen so you may use a second tin or just wait and bake the additional ones in a second batch. 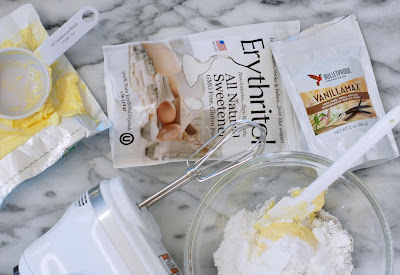 Place the erythritol and xylitol together in a blender or spice grinder and pulse until reasonably fine, being careful not to let it get too hot or it may melt. It does not have to be superfine like confectioner's for this batter, just powdered. Set aside. Place the dark chocolate and butter in a medium saucepan over low heat and melt stirring constantly until smooth then remove from heat and set aside. 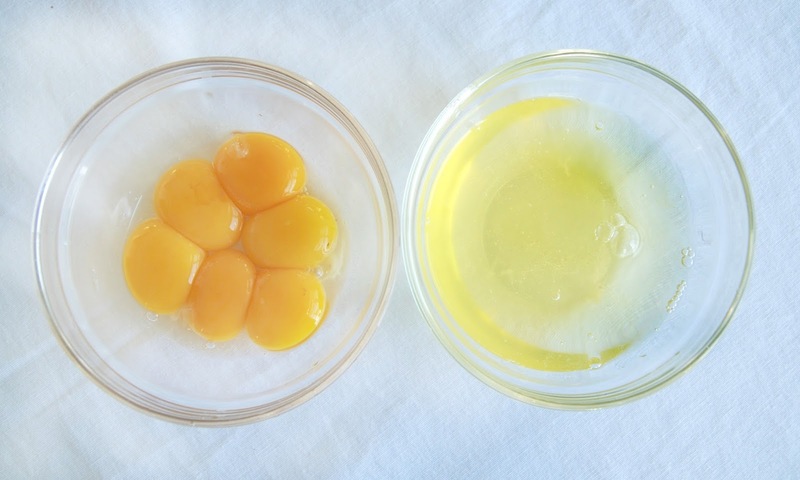 Make sure to stir occasionally so it does not separate while you make the egg yolk batter. Place 6 Tablespoons of the powdered erythritol/xylitol mixture into a large bowl along with the 6 egg yolks and beat using a stand or hand mixer on medium-high speed until thick and pale yellow, about 3 minutes. 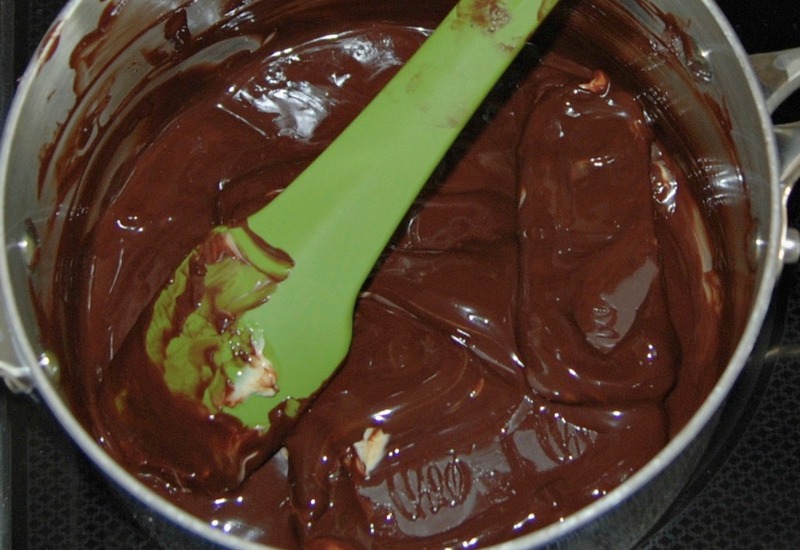 Add the yolk and sweetener mixture to the melted chocolate mixture along with the vanilla powder, chocolate powder and sweet rice flour. 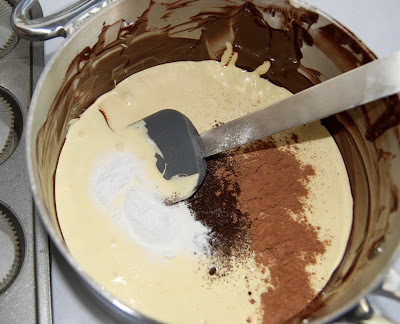 Using a spatula mix until blended and set aside. 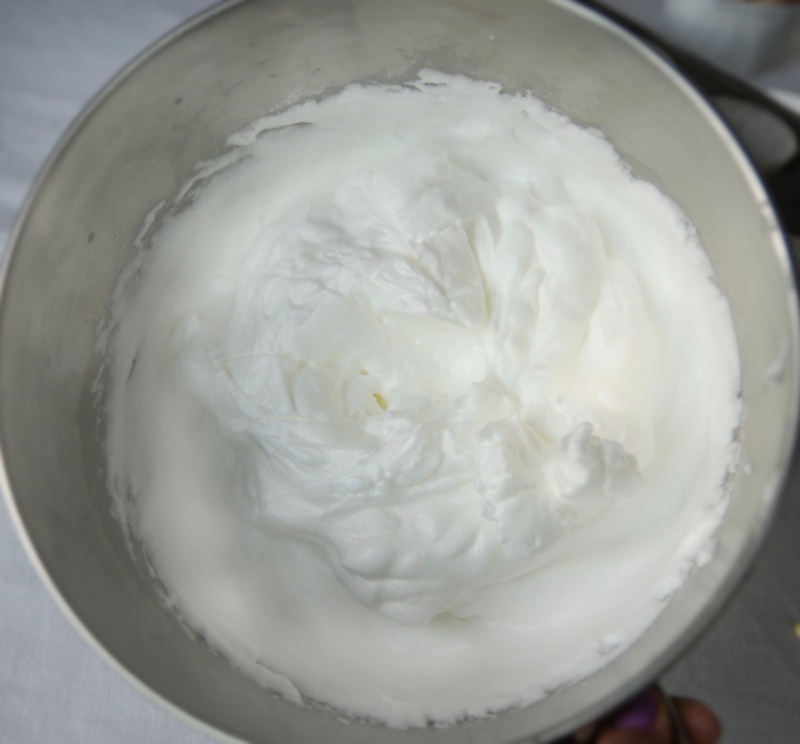 Place the 6 egg whites in a large bowl. 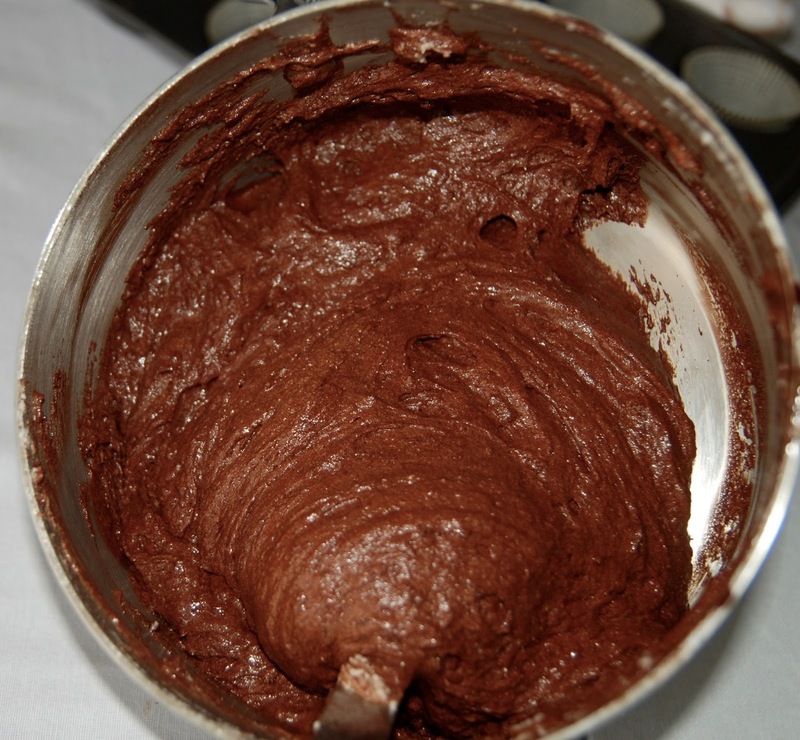 Using a stand or hand mixer, beat on high speed until soft peaks form. 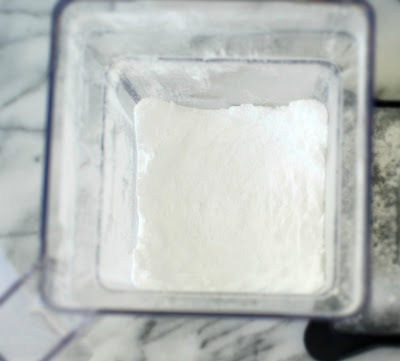 Then slowly add the remaining 6 Tablespoons of the powdered sweetener mixture and beat on high speed until medium-firm peaks form. Gently fold the egg white mixture into the chocolate mixture a little at a time until incorporated. 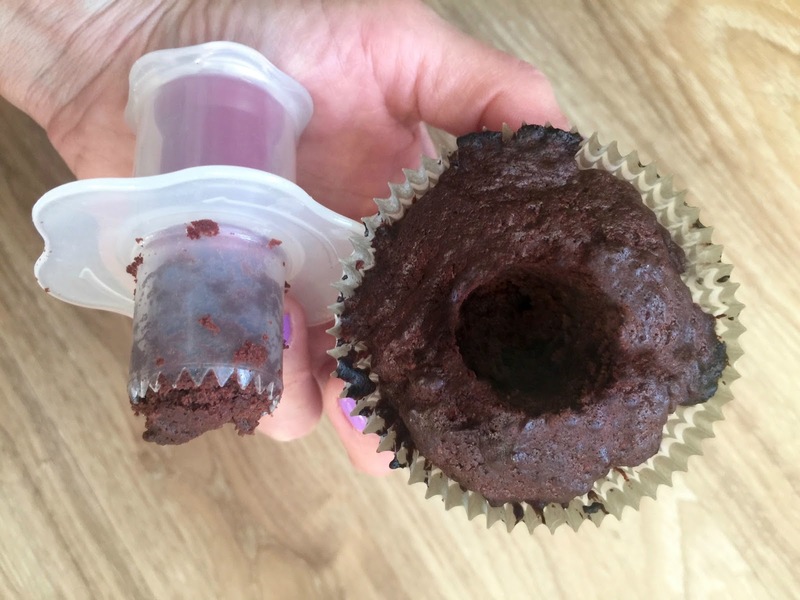 Fill the cupcake liners to the top. 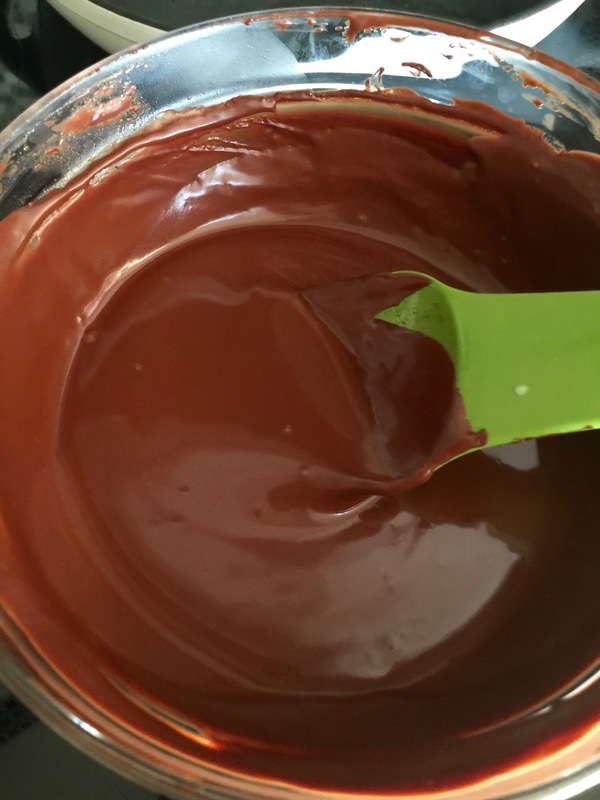 My batter was pretty airy and somewhat gooey so I lightly filled each liner completely full to the top but was careful not to press down on the batter. Place in the oven and bake for 11 minutes. 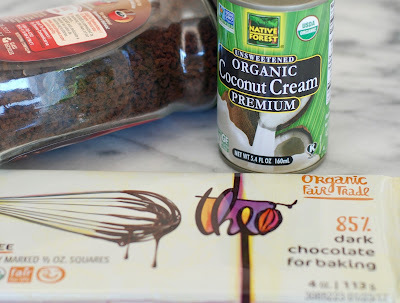 Rotate the pan and bake for 11 minutes more. 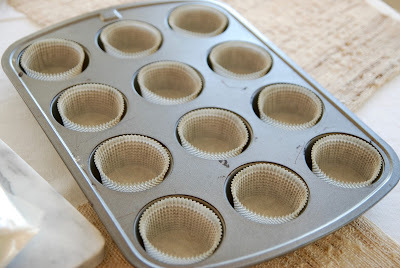 Remove from the oven and place pan on a wire cooling rack. Cool completely. 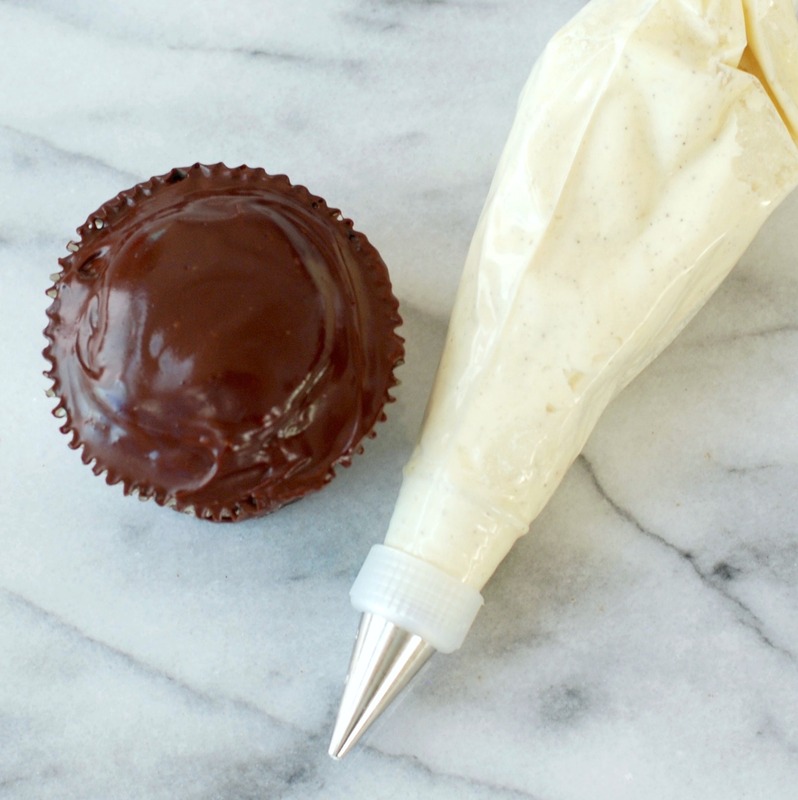 You can eat them as is now or proceed to the next steps for frosting and/or filling. Add about 2 inches of water to the bottom of a small saucepan fitted with a heat-proof bowl or smaller saucepan (like a double boiler) over low heat. Add chocolate, coconut cream and instant coffee to the bowl or top pan. The ganache should be loose like a thick sauce. 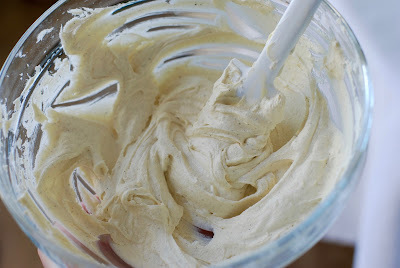 Set aside (stirring occasionally to keep it well blended) while you prepare the cupcakes and creme filling. Optional: IF you would like to skip the creme filling part, you may dip the cupcakes upside down into the ganache now to coat or drizzle the ganache atop and allow to set for a few minutes before eating. If you cannot find or do not have confectioner's erythritol or xylitol, you will need to powder it yourself. A spice blender works well for the small amount you will need for this. 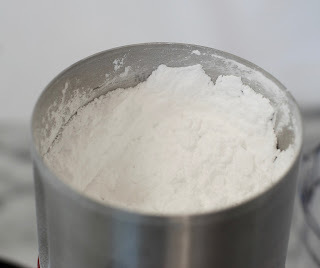 Keep pulsing until you have a very fine powder being careful not to let it get hot so it doesn't melt. 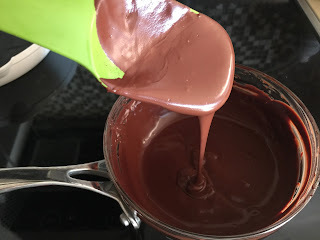 This may take several minutes but is critical to getting a smooth and creamy texture to your filling. 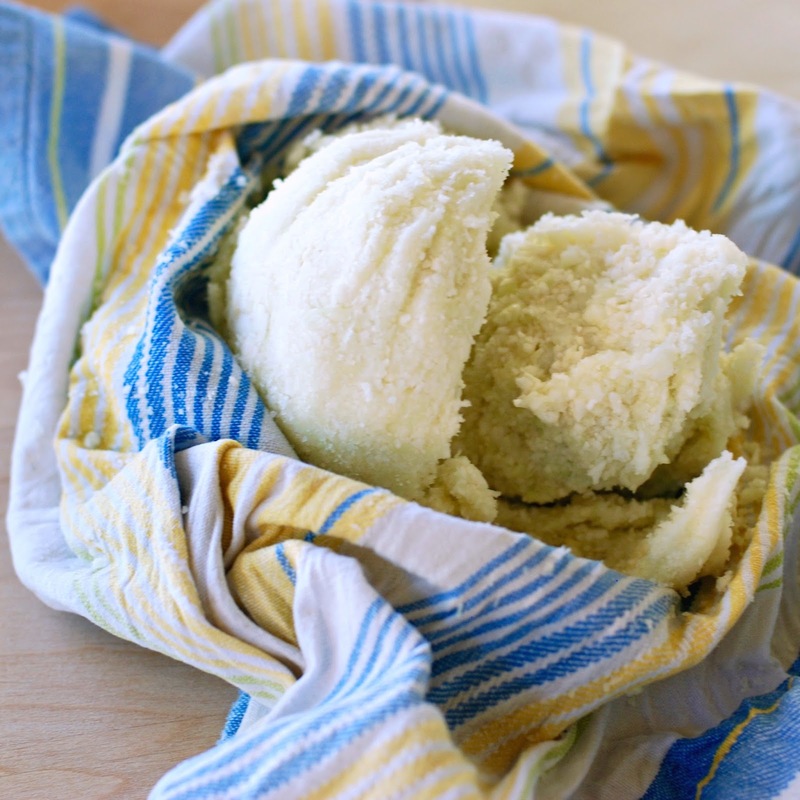 In a medium bowl, place the powdered sweetener, softened butter and vanilla powder. 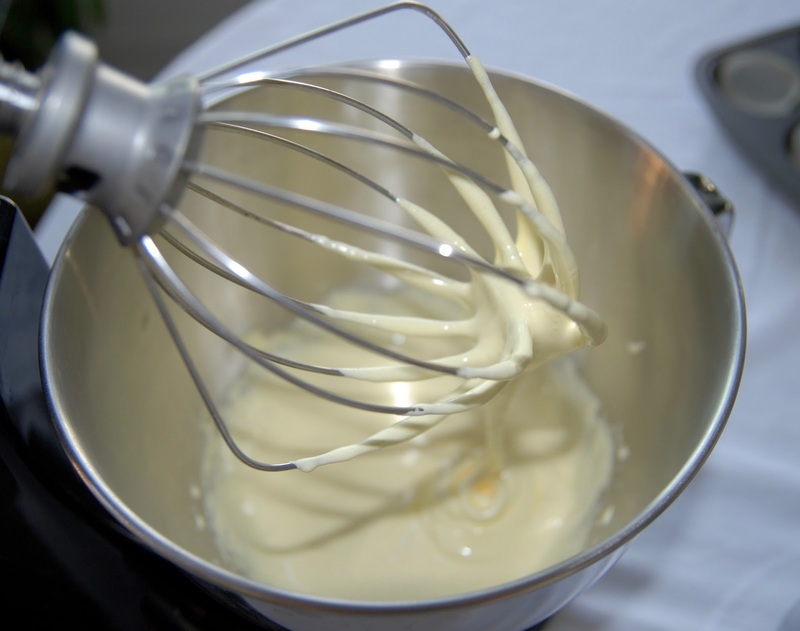 Using a hand mixer set to low, incorporate the ingredients then mix on high until creamy. Set aside. Fill each well with some of the vanilla creme. 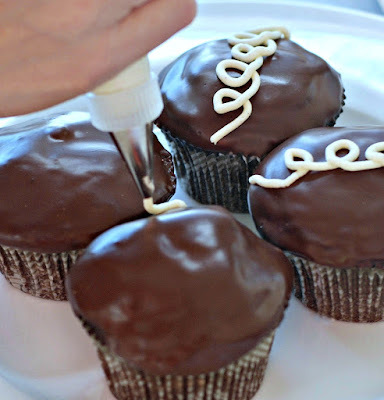 You may do it by hand or use a piping bag fitted with a large round tip. 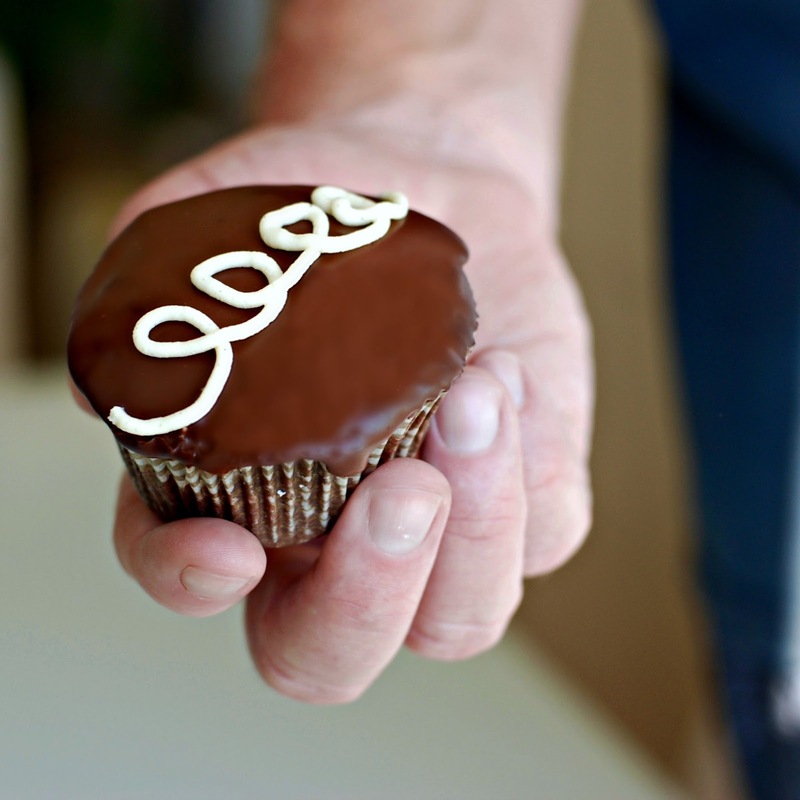 Be sure to reserve a small amount of the creme filling for the top decoration. 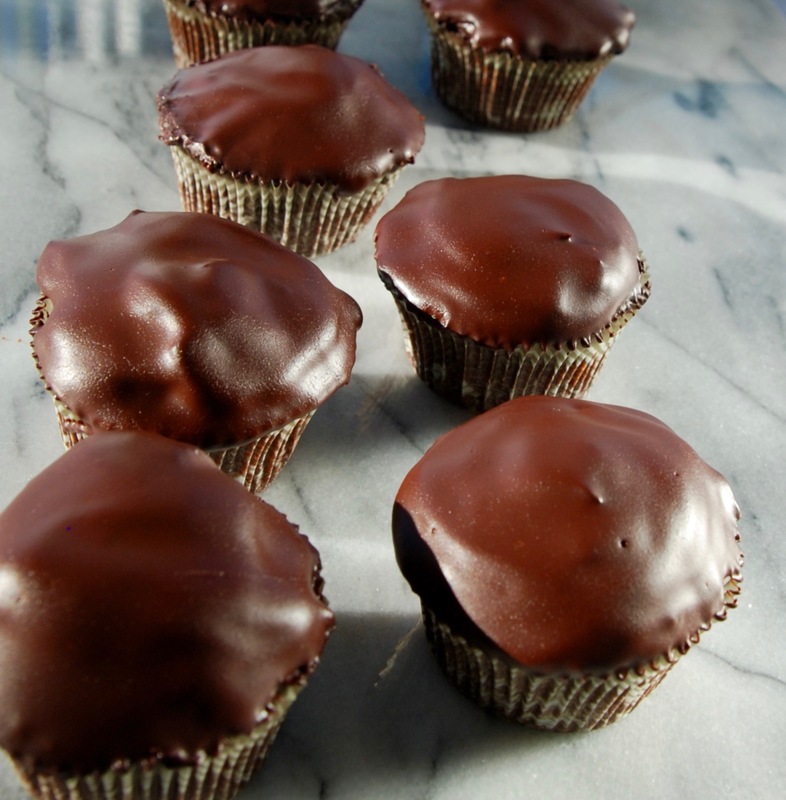 Place these into the freezer for a few minutes to set up before dipping into the chocolate ganache. Then carefully dip and roll each cupcake into the chocolate ganache and let set up for another few minutes before piping on the top decoration. 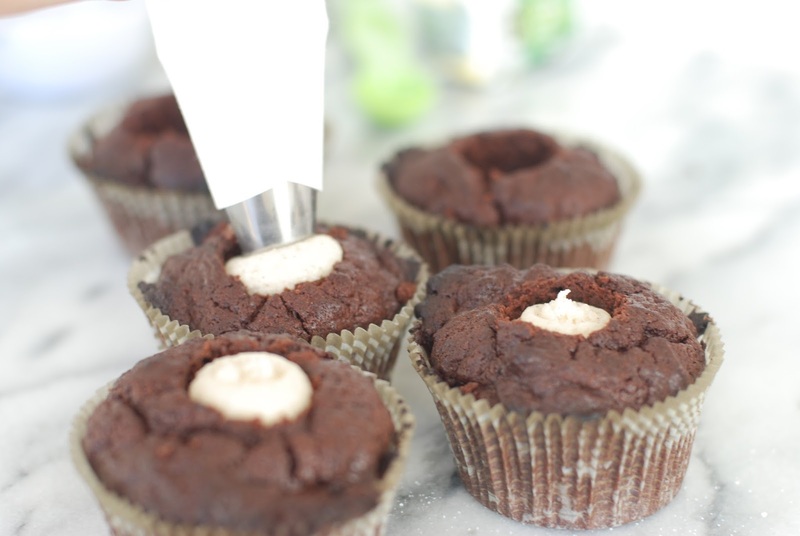 Place the remaining vanilla creme into another piping bag fitted with a very small round tip. These are now ready to enjoy or you can store them briefly (1-2 days) in a plastic container with a lid. They do not need to be refrigerated but can be. After a day or two the ganache will start to break down so these are prettiest when eaten very soon. 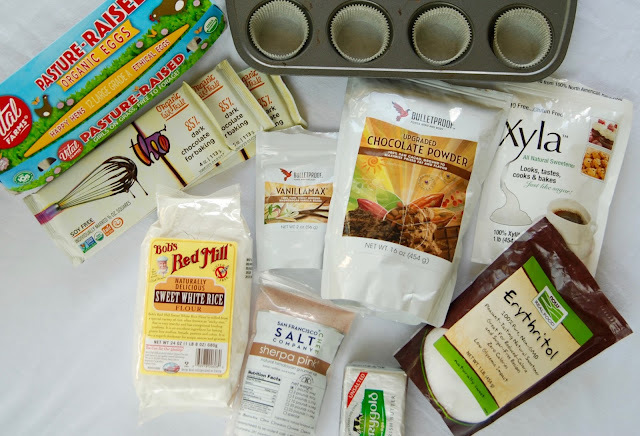 Leave a comment below letting me know your favorite dessert to be entered automatically! Be sure you are logged in (not posting as anonymous) so I can contact you if you win. You may also visit my Instagram and/or Facebook page for additional entries. Winner will be notified on December 1st. These were all working titles for this recipe. Good thing I went with the suggestions from Instagram friends @_myoldgreenhouse_ @simplenutritioussolutions and @ryancarter1986 instead. "Golden Curried Cauli" sounds way more respectable, don't you think? This dish, not unlike many of my favorite dishes, is incredibly versatile and very easy to make. 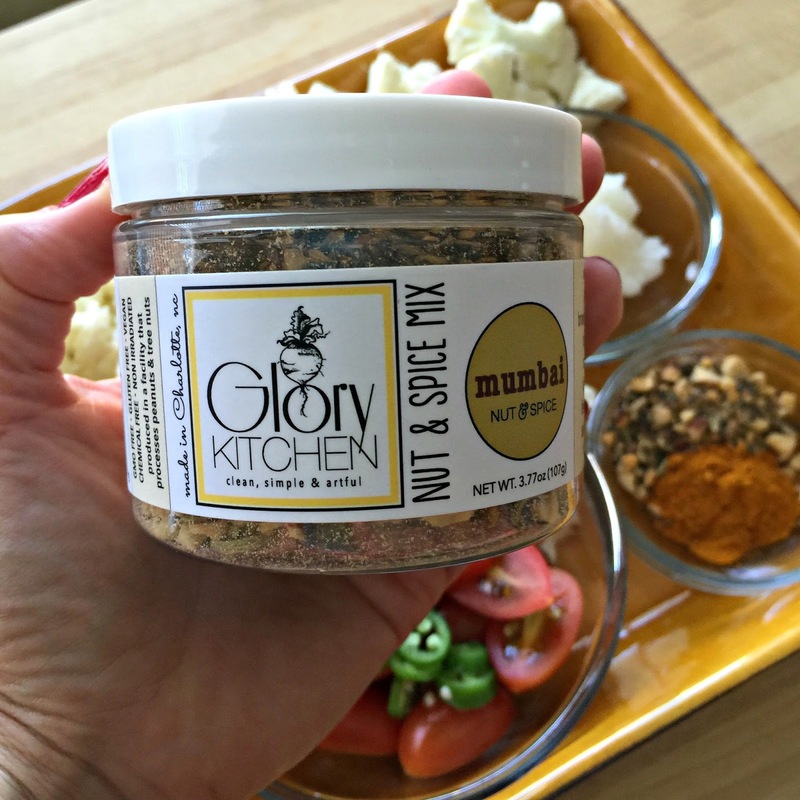 I used a nut and spice blend from Glory Kitchen which I highly recommend. 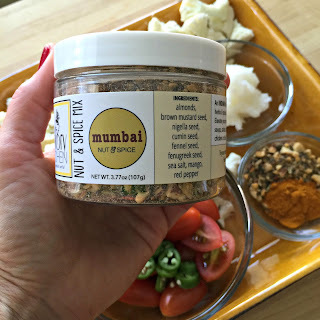 I think I've purchased every single one of her small batch artisan blends and I love them all, but this one is called "Mumbai" and it's inspired by the flavors of India. 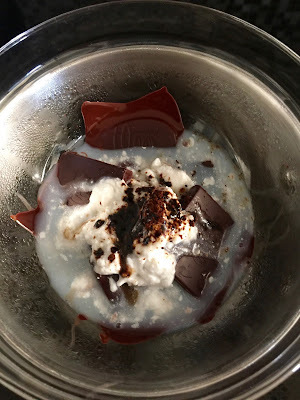 It tastes amazing, uniquely complex and let's face it, it makes life easy because you don't need a bunch of different spices, seeds and nuts to create an amazing meal. Heat a large skillet to medium to medium-high. Add coconut oil and let it melt. Next, add the Mumbai Nut and Spice Mix and turmeric. 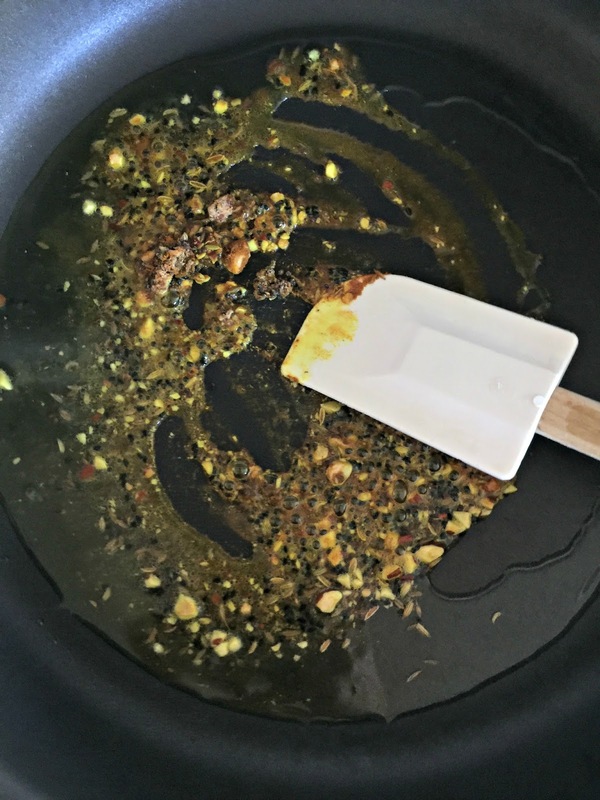 Stir the spices around in the oil and let them lightly sizzle and toast for about 2 minutes being careful not to burn. 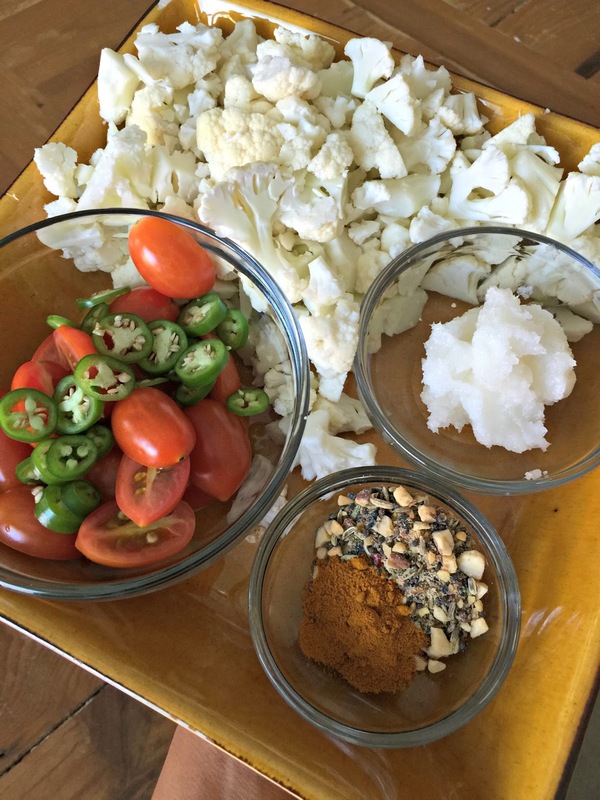 Add the cauliflower, a sprinkle of sea salt and stir to coat. Cook uncovered for about 5-6 minutes stirring occasionally. Add cherry tomatoes and serrano, stir to combine then cover and cook for about 4-5 more minutes until cauliflower is crisp tender. 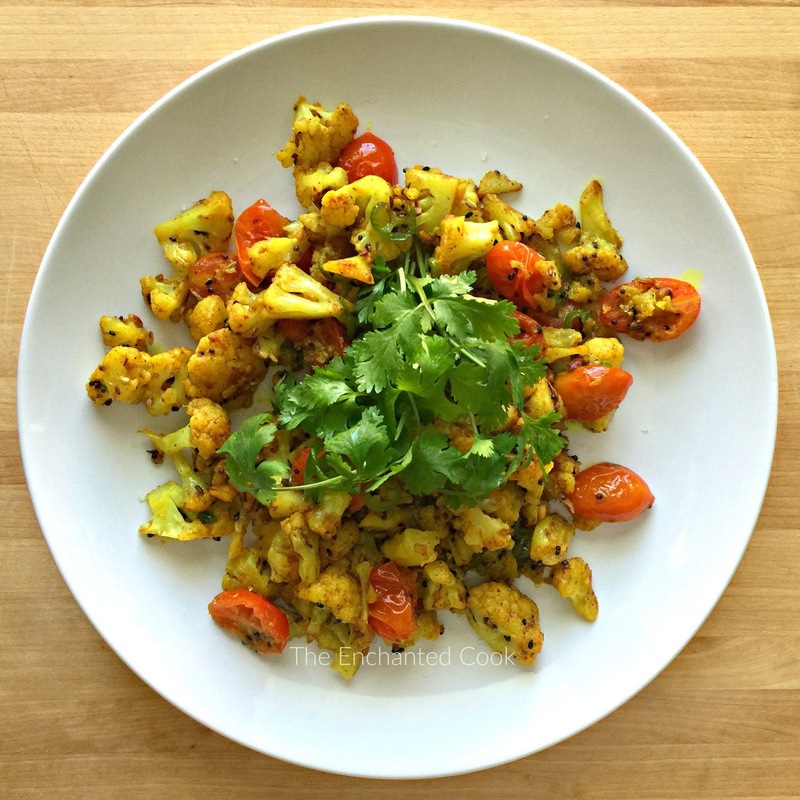 Sprinkle with more sea salt to taste, garnish with cilantro and serve. 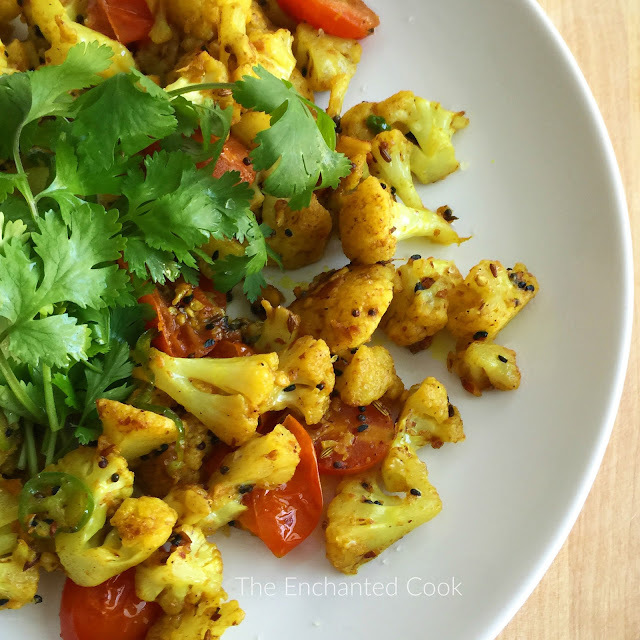 This dish is incredibly versatile - it's vegan as posted and perfect as a side dish, however you could easily add a protein like prawns, chicken or tofu and serve as a main dish. You can amp up the flavor by adding more of the Mumbai blend and you may also adjust the heat up or down with more or less of the Serrano pepper. Want to know how to make the best cauliflower crust pizza - a crust that holds together, has great texture and tastes amazing despite being completely flourless (grain-free, gluten-free, nut-free)? So did I. That's why I tried it 20 times before being able to perfect it (and shhhh, don't tell anyone, but it's actually pretty easy to make). 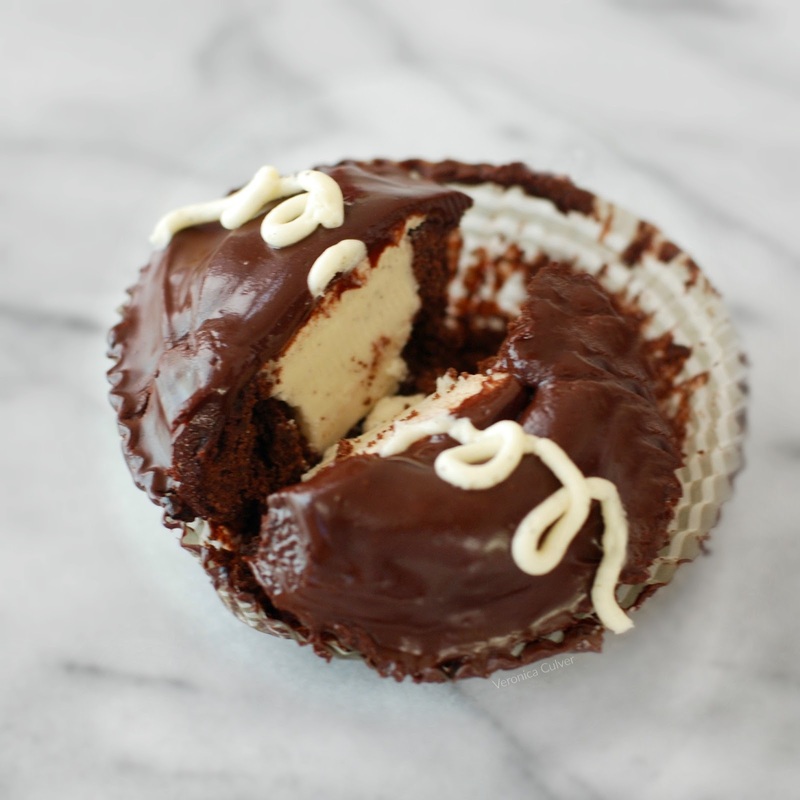 My recipe was originally based on this one from Food Network, however I had some issues with the outcome. Over time, and with much trial and error, I've made several edits and adapted it to work pretty flawlessly. You'll need a pizza stone and a pizza peel. If you don't already have them you can get them on Amazon for right around $30 total for both items. The shape of the stone doesn't really matter. I have a rectangular one and it works fine, whether I'm making round pizzas or not. 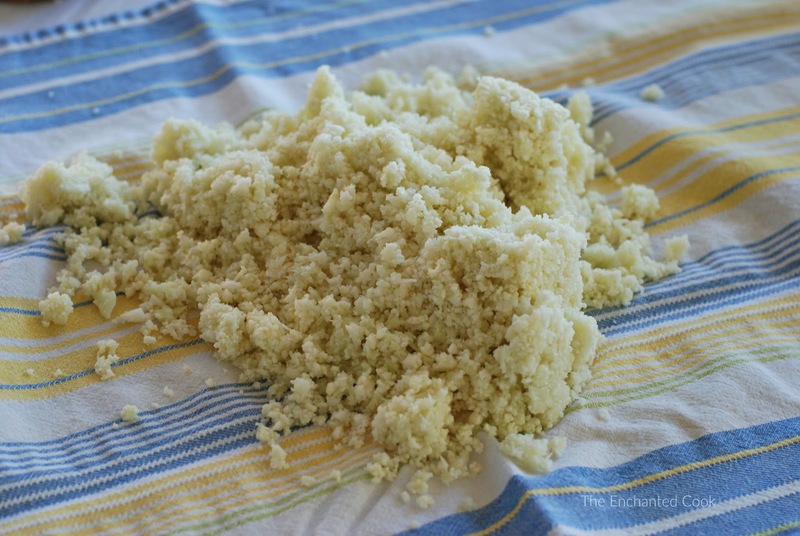 You'll also want to have on hand some parchment paper, a food processor fitted with the cutting blade and a clean, dry kitchen towel that you will use for removing the moisture from the cauliflower. Make sure your oven is preheating to 425 degrees with your pizza stone inside of it. Gather up your special equipment and ingredients to make your crust. 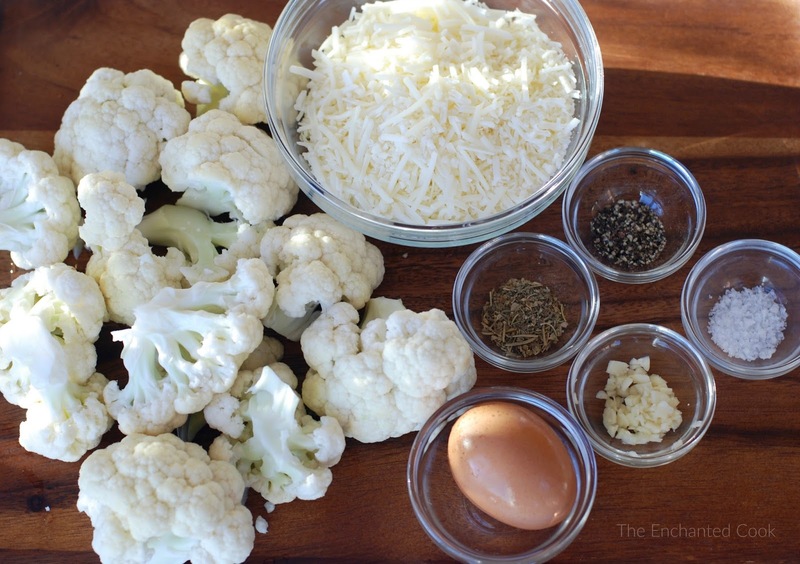 Special Equipment: Food Processor fitted with Cutting Blade, Parchment Paper, Pizza Peel, Clean Kitchen Towel for Removing the Moisture from the Cauliflower and place your Pizza Stone in the oven at 425 degrees to preheat. 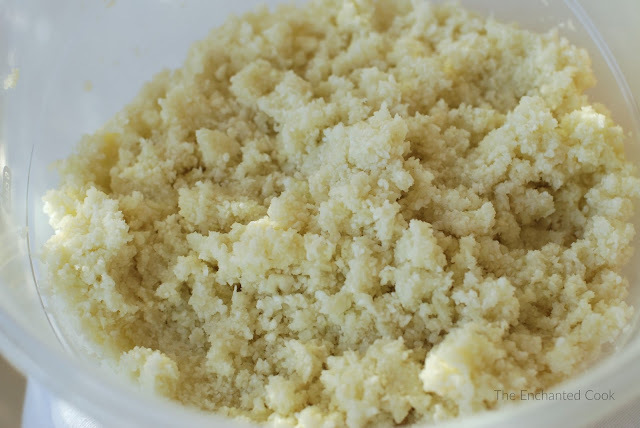 Place the cauliflower in your food processor fitted with the cutting blade and pulse until you achieve a grain-like texture, the finer the better. 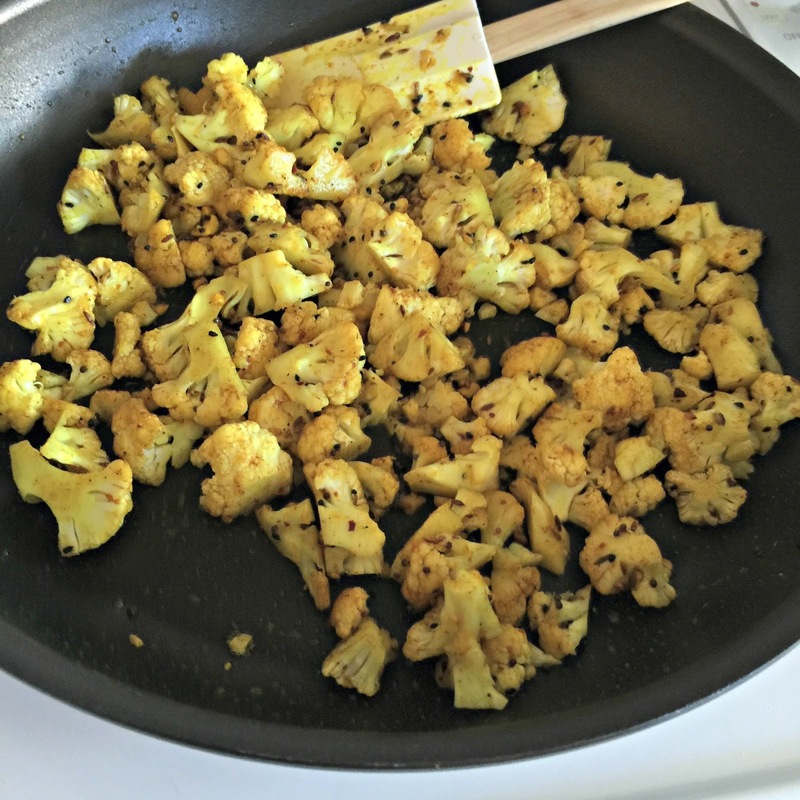 Place the cauliflower in a clean, dry kitchen towel, wrap tightly and wring out the moisture. Keep wringing it out until no more moisture comes out. 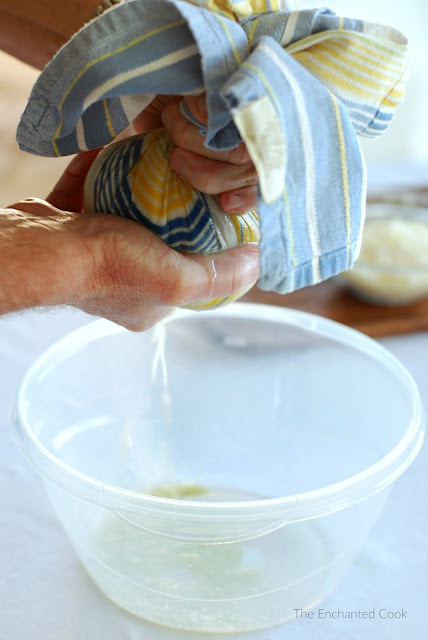 This is a very important step which will help keep the crust together. In a large bowl, place the cauliflower and add the other crust ingredients (cheese, egg, Italian seasoning, garlic, salt, pepper) then mix with a large spoon or your hands. Line your pizza peel with a sheet of parchment paper. 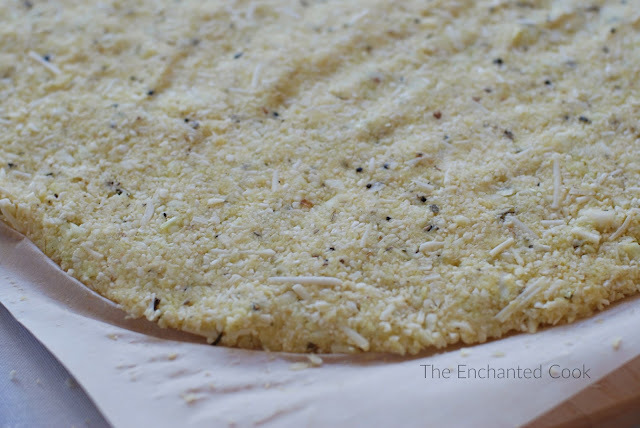 Place your crust mixture in the middle and form a large circle by pressing and patting with your hands. Make sure it's an even thickness (about 1/4 to 1/2" thick). Now it's time to bake your crust. 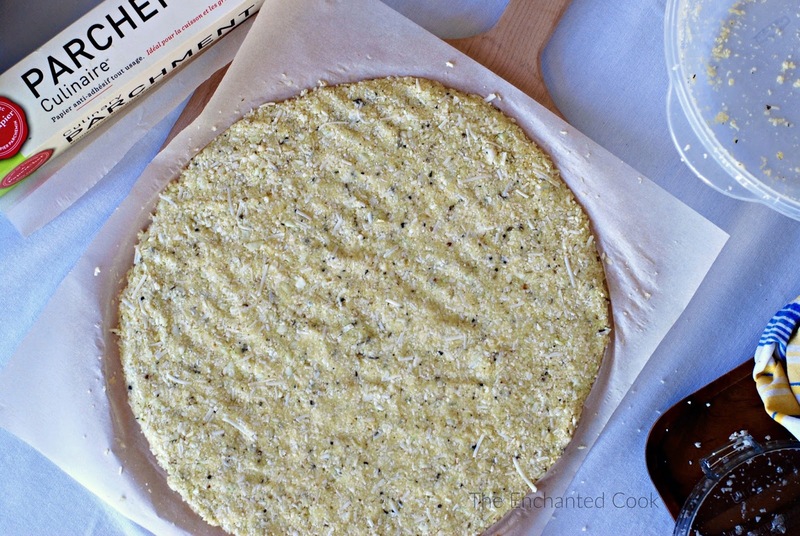 Carefully slide the parchment paper and crust off of your peel and onto your hot pizza stone in the oven. 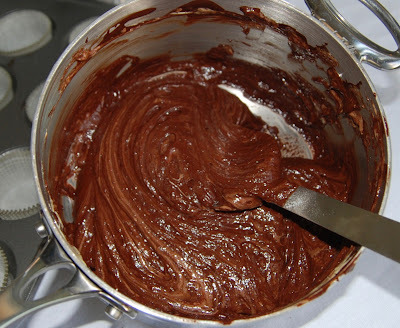 Bake for 15 minutes until lightly browned. 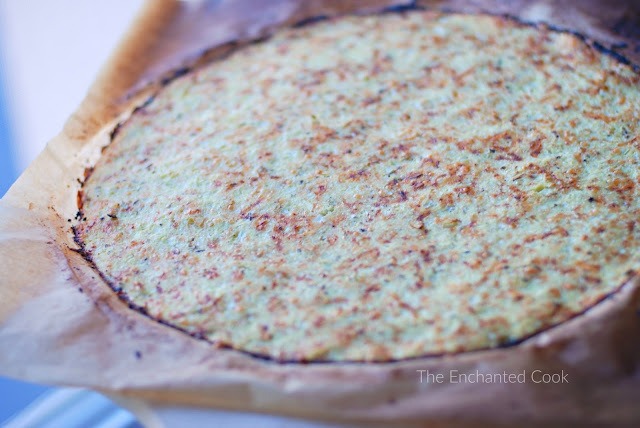 Using your peel, carefully slide the parchment paper and crust off of the hot stone and onto the peel. Leave the oven on and the stone in as you will be baking for a few more minutes after you top your crust. 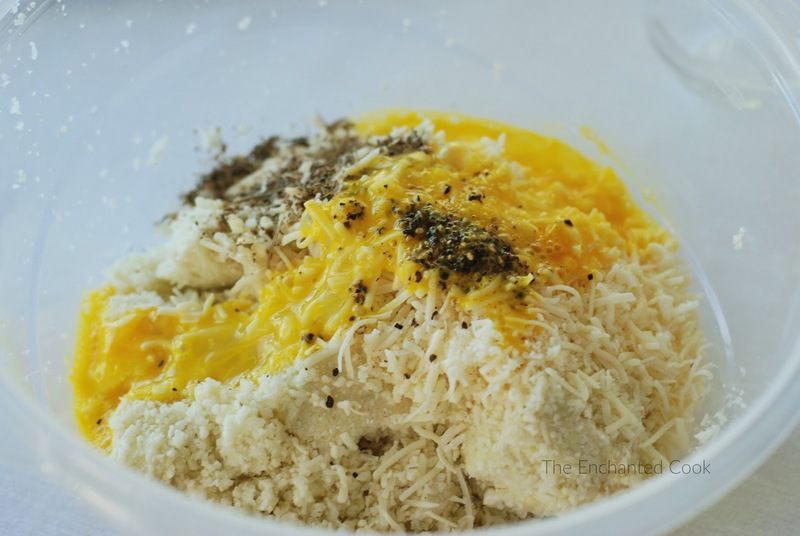 Immediately top the crust with your shredded Asiago (or Parmigiano Reggiano) and mozzarella cheeses. 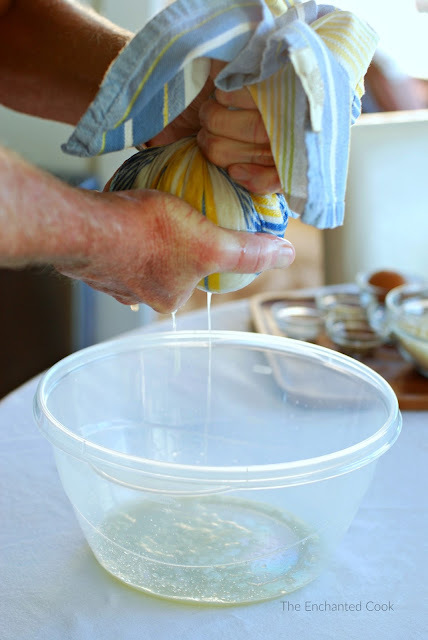 Do this FIRST so that it will help hold the crust together. Next, spoon the marinara sauce onto the cheese-covered crust and spread evenly. This will be a very light coating. 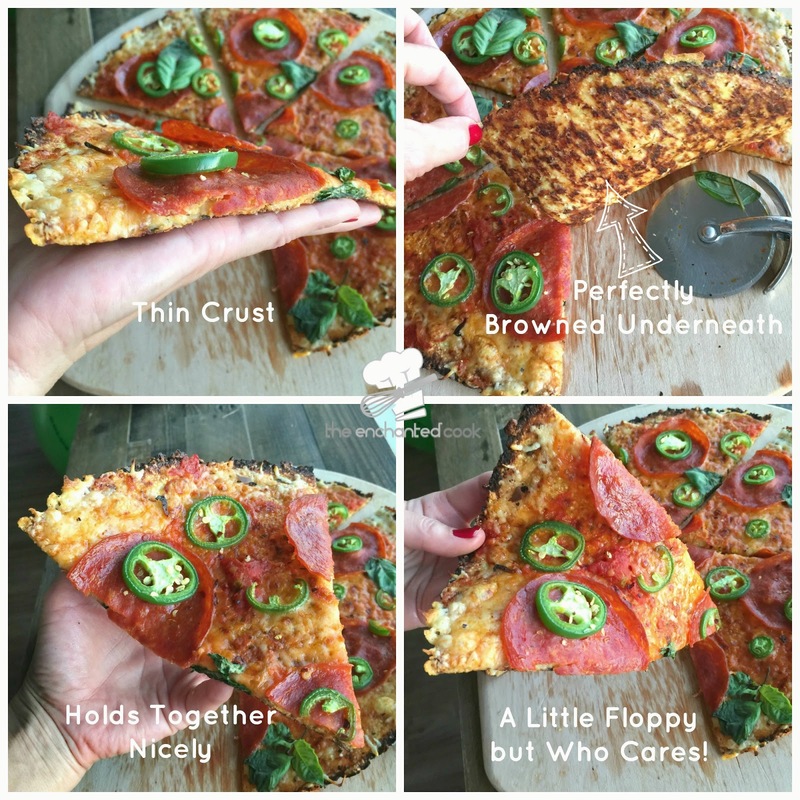 Too much and it will make your crust soggy. 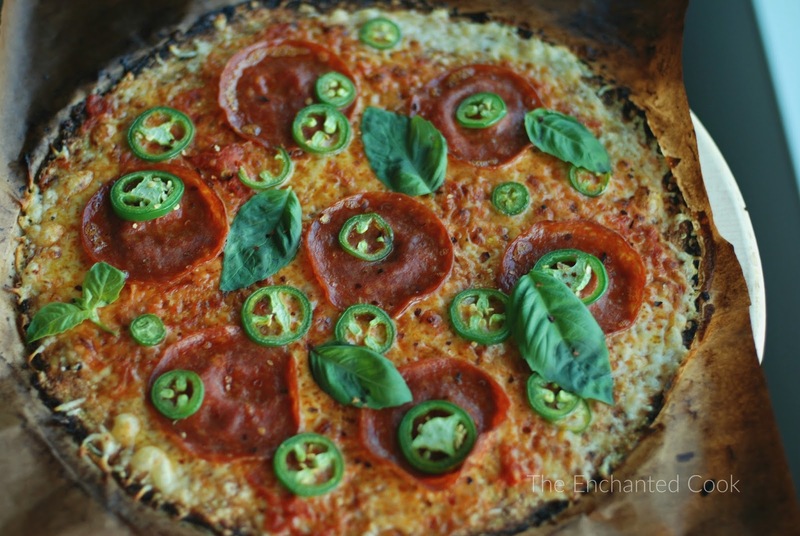 Lastly, top with pepperoni and fresh jalapeno or whatever topping you like. The fewer and lighter the toppings the better your final pizza will come out. 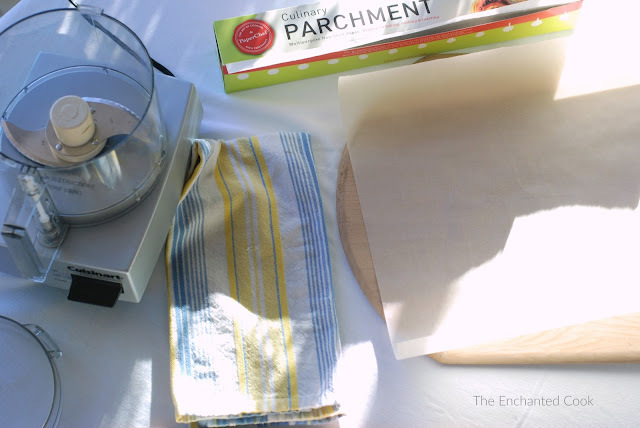 Slide your parchment paper and pizza from the peel back onto the stone and bake for about 4 minutes or until hot, browned and bubbly. 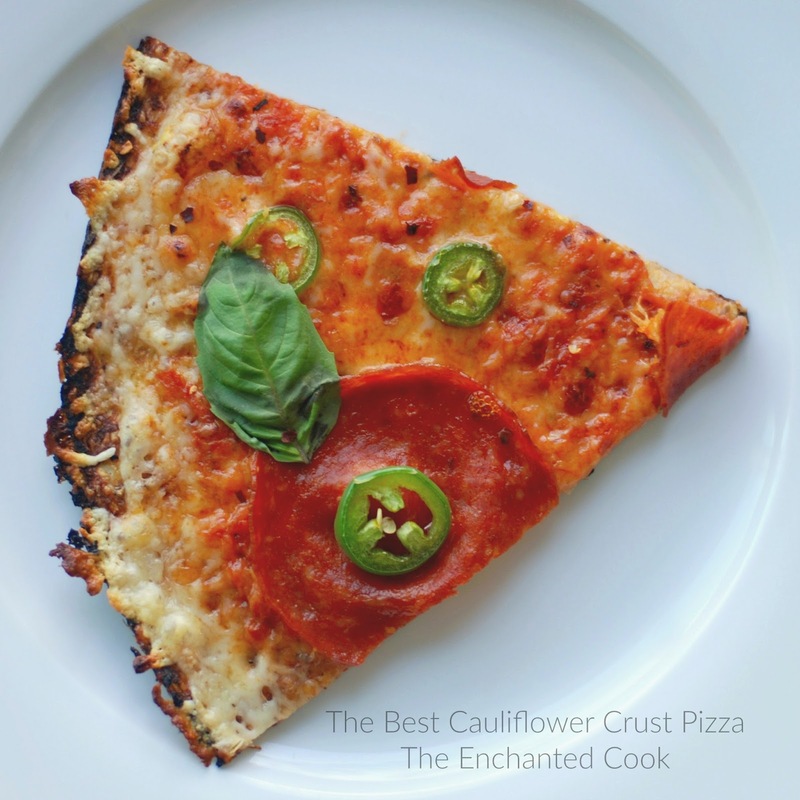 Remove from oven, garnish with fresh basil and crushed red pepper if desired, slice and serve! 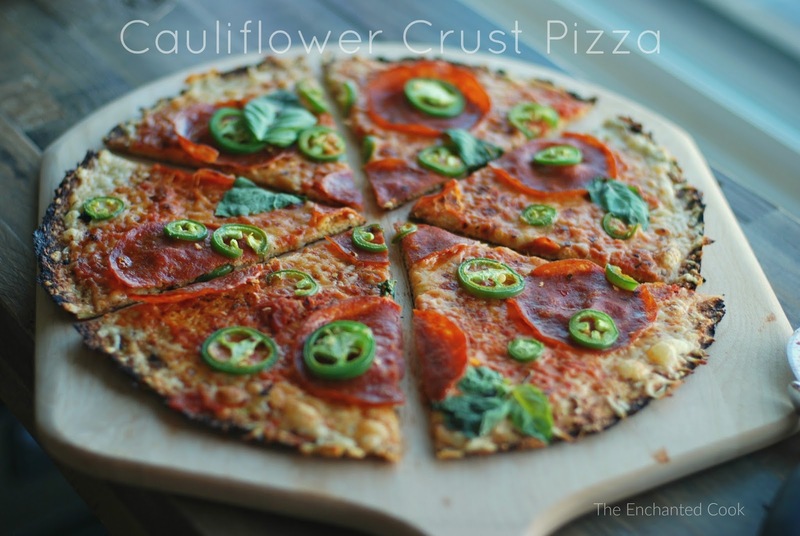 The perfect cauliflower crust pizza! It's even great left over!! Eat it cold, heat it up in a skillet or microwave, top it with bacon(!!!) 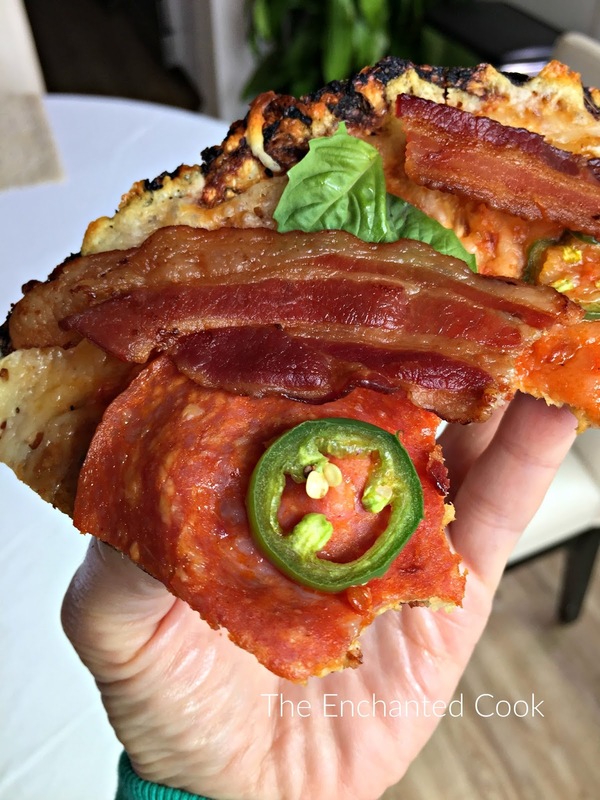 - any way you slice it, it's SO GOOD!!!! !